Wonton is my second quilt featuring the Hex N More Ruler. Quilt measures - 31" x 36"
Here is the back of the pattern. Wonton comes in three sizes. 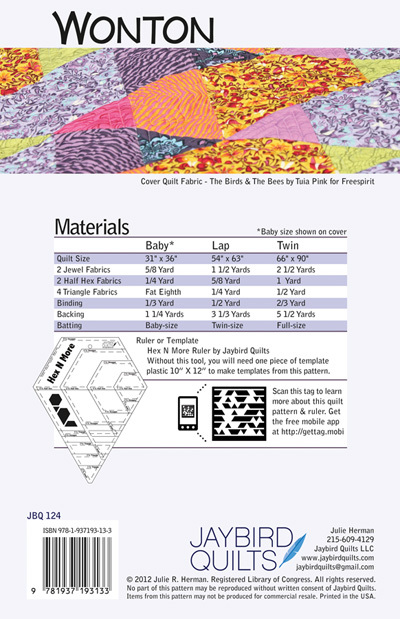 In case you are wondering here are the exact fabrics that I used on the cover. 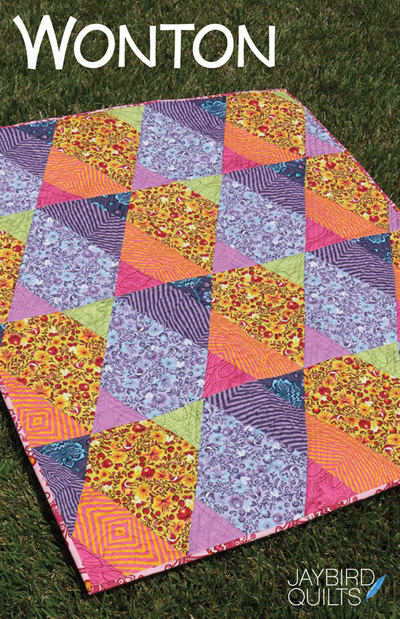 This quilt features three of the four shapes that the Hex N More Ruler can cut. The Jewel, the Half Hex & the Triangle. 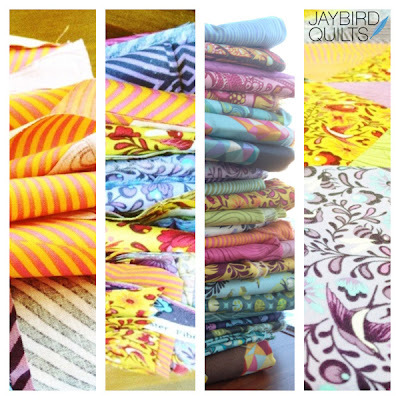 This is the quilt I was working on a few weeks ago when I showed some sneak peeks of The Birds & The Bees over on Instagram. 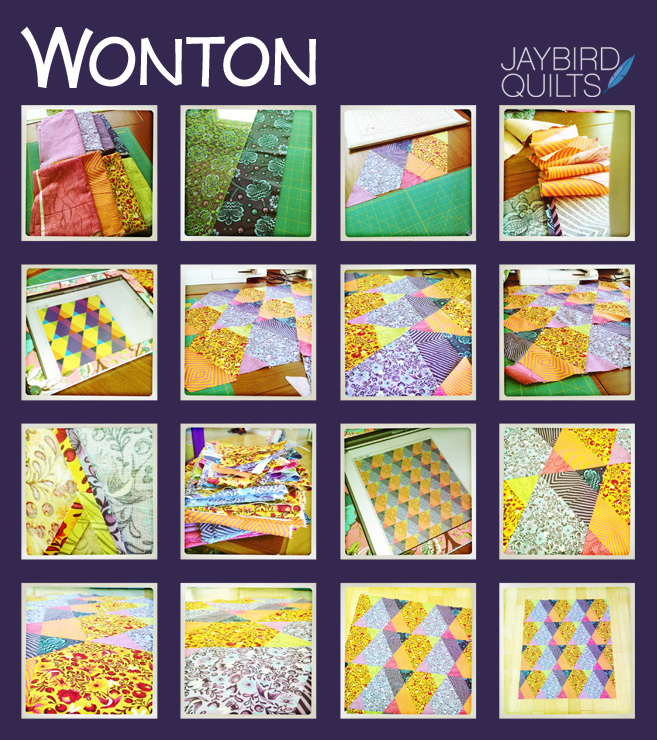 If you look closely in this sneak peek you can actually see the Wonton quilt top coming together in the fourth photo. I used my iPhone to capture my process while working on Wonton. This collage shows fabric selection to completed quilt top... and they are all from the same day! I love when I can get a quilt top done in a day. I don't have too many outtakes from the cover photo shoot. 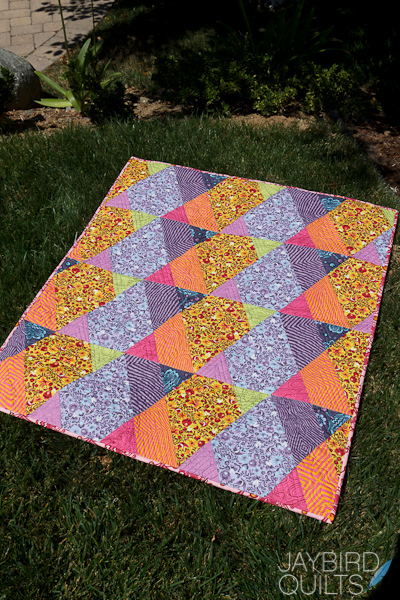 I knew I wanted a simple background for the cover so that the quilt would pop. I took about 40+ photos of the quilt on different grassy areas... they all look pretty similar!! I tried adding flowers... but they weren't adding anything to the look of the cover. I snapped a few detail shots and I was done! -- Wonton and the other new patterns will be available next week. The Hex N More Ruler will also be shipping out to shops at the end of this week. 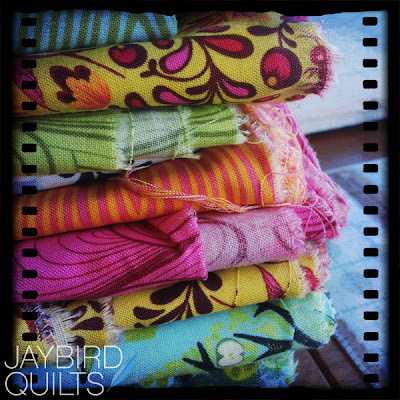 This is a very exciting time for you and JayBird Quilts, enjoy! 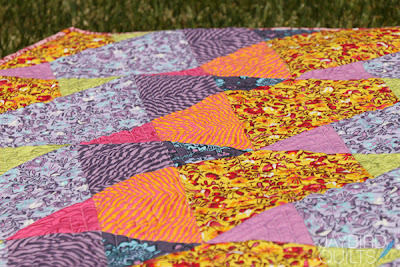 Love the colors...and how they come together in the quilt! I love everything you have made with this wonderful new ruler of yours. I just need to know when it will be available in England please because I so need this. You are truly inspirational. Oh! Oh! Oh! just wonderful. Congratulations. I live in Oz so where can I buy the ruler? I buy from many shops in USA but look forward to another. The colours are brilliant just my colours & love the design. 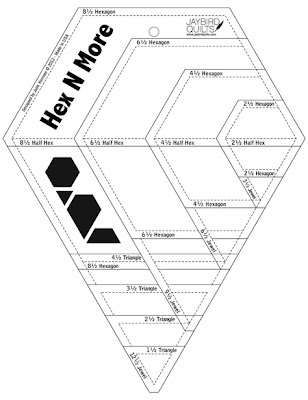 Hex N More Ruler & New Patterns!! 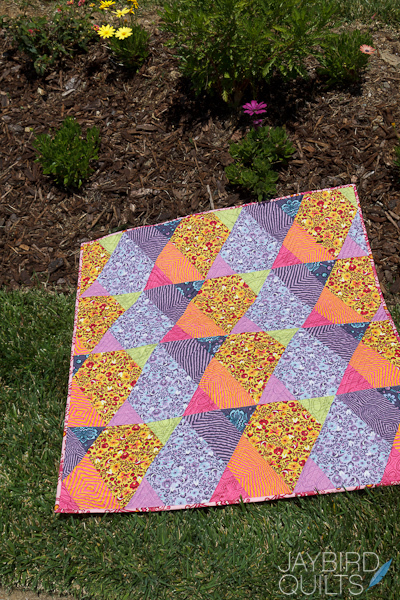 Sponsored Giveaway: Featuring Marmalade Fabrics! Come see me at the Long Beach Quilt Festival!